THOUGHTS ON A NEW BEGINNING @ FBC OF HAMMOND, IN. The past six and one half months have been dizzying to say the least. The suffering has extended to many inside and outside of Hammond. 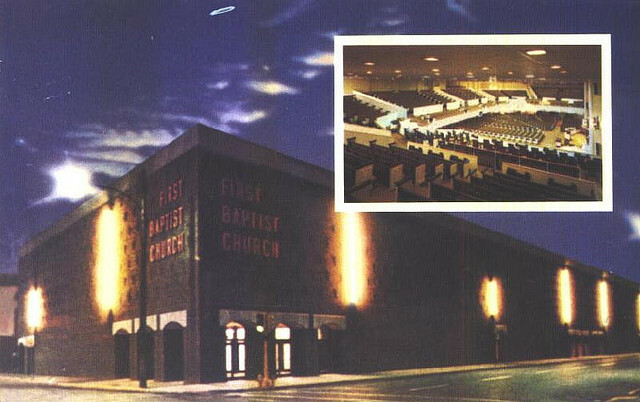 FBC of Hammond has certainly suffered, but so have churches all across America. Many have felt the fallout of the tragedies of these past months. Families have suffered. Individuals have suffered. Mrs. Hyles’ and her family have suffered. The cause of Christ has suffered. It has been a rough period of time. So, who do we blame? After all whenever we suffer it seems to make us feel better, in the short run, if we can assign the blame to someone. Well, here are a few of my thoughts! JACK SCHAAP IS NOT THE ONE TO BLAME. He sinned! He fell for sure, but he is just a man and maybe if some had considered his humanity long ago they would have been less damage and hurt. THE MERCHANTS OF SATAN ARE NOT TO BLAME. Those accusers of the brethren certainly wreaked some havoc, but they are not to blame. Besides, God will deal with those critics. CRITICS OF JACK HYLES ARE NOT TO BLAME. Oh yes, they relish in every chance to attach him to anything they think will prove their idiotic point, but they are not to blame. FIRST BAPTIST CHURCH IS NOT TO BLAME. Mistakes? Sure, they made a few, but we all do. They chose a man as pastor and then gave him the loyalty Jack Hyles had earned and he had not. Too much loyalty? Too long? Hey, let’s face it hindsight is always 20/20. INDEPENDENT BAPTISTS ARE NOT TO BLAME. Some who leave one group seem to feel they need to demonize a group to justify their decision to leave. Sad and silly as well. MOST of them I know in those circles are sincere and good people. Demonizing a group is akin to demonizing everyone in the Tea Party as being racists or bigots. It is fashionable to demonize groups, but illogical. There are lessons to be learned, but blame should not be assigned. THE HEATHEN WORLD IS NOT TO BLAME. Now, that is always easy to do, but it would be a faulty assumption. II Chronicles 7:14 puts the emphasis on God’s people not the world. WHO IS TO BLAME? SATAN! Satan is the only one we can attach blame. As long a we live in these sinful bodies he will do all he can to destroy the work and the people of God. Blame him; not one another. Now, we must each take responsibility for own sins and mistakes, but any blaming of one another is without value. Allow the authority to dispense the judgment calls while the rest of us guard our own back yards. If adjustments are to be made let them be adjusted to truth not innuendo.